After more than a year in the making, the final draft of the Big Shrewsbury Town Plan has been revealed. The vision, which could reshape some of Shrewsbury's most well known and popular locations for the future, is set to be approved next week. In September 2017, Shropshire Council, Shrewsbury Town Council and Shrewsbury BID announced they were working on a joint vision for the future of the town – providing plans for the future of some the town's most important areas. Since then a team has been gathering the views of residents, visitors, businesses and other key stakeholders to shape the plan. So far the project has cost about £50,000 which has been split between the three key partners. The final version, which has been created by LDA Design, is now ready to be put into action. As well as broader plans for the town, four key locations have been identified for improvement and development – the Flaxmill Maltings, the northern corridor and railway station, Riverside and the West End. The plan sets out ambitions to connect the Flaxmill to the rest of the town by improving the streetscape along Castle Foregate and St Michael's Street. 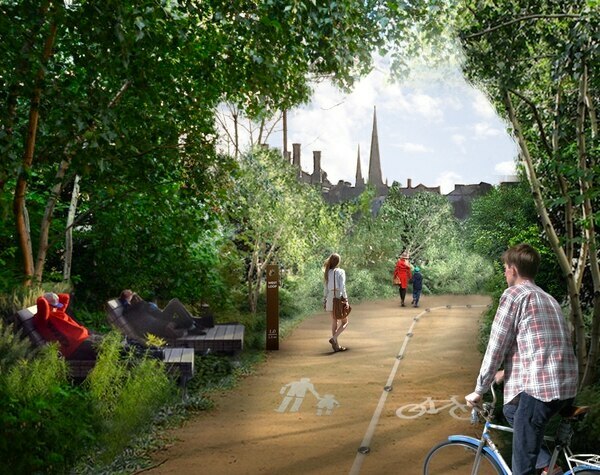 The proposal also includes improvements to the pedestrian and cycle link that follows the former route of the canal, which the team has named the 'low line'. If funding is secured, the Big Town Plan suggests creating a new centre for people arriving in the town with a new square outside the railway station. 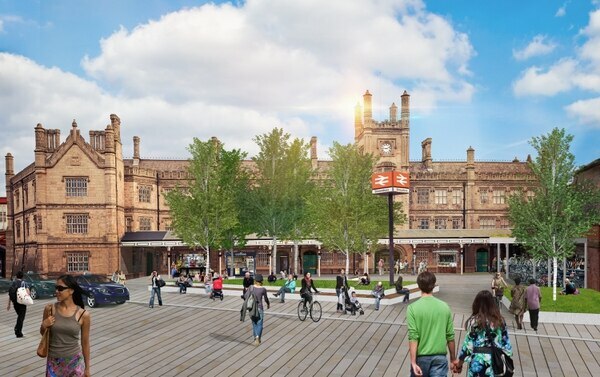 Ideas also include removing parking outside the station and relocating taxis to reduce air pollution in Castle Street. Councillor Alan Mosley, Leader of Shrewsbury Town Council, said he fully supports the plan and the vision of the town's future. “Shrewsbury Town Council has been closely involved in developing the plan from inception and we wholeheartedly support the concept and the proposed framework for future developments," he said. "The levels of interest and support from stakeholders and public at large has been tremendous and augurs well for a very bright and successful future throughout our great town." Councillor Mosley said the plan will be reviewed every February to ensure work is on track. 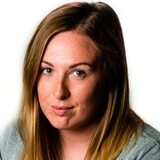 He added: "This will ensure we are held to account every single year. It is really important we can show the public what we have done and what we will be doing. "If some of this work is not achieved, ultimately we will have failed so it is important we really make this work." The reconfiguration of Shrewsbury's shopping centre has been described as a "golden opportunity" to create new buildings offering views of the river and public spaces. 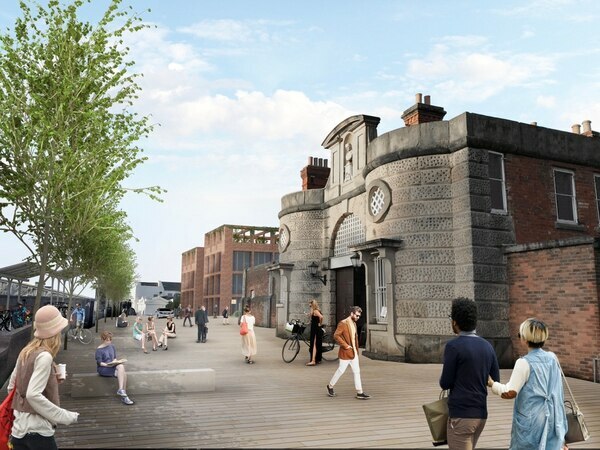 It says there is the chance to make Smithfield Road a "largely traffic-free promenade" next to the river. 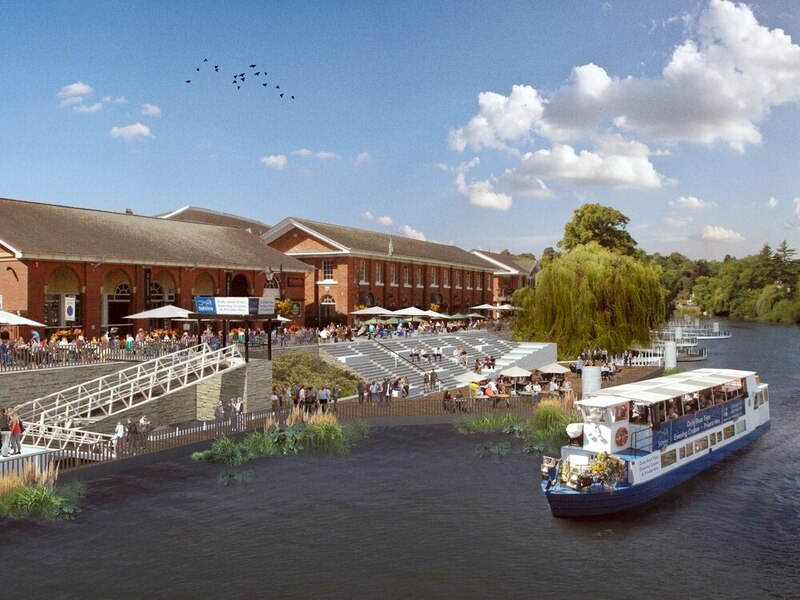 There is also a suggestion of removing Raven Meadows multi-storey car park and the Riverside Shopping Centre to create a one-level public promenade connecting the town centre to the river. Meanwhile the proposals for the West End are focussed on connecting the town centre to the riverside at Victoria Quay and making better use of links to the Quarry. It would include opportunities to build a new workhub and potential for re-purposing some of the car parking for a range of different uses. Seb Slater, executive director of Shrewsbury BID, said work will now begin on securing funding and starting projects. “Collaboration between Shropshire Council, Shrewsbury Town Council and Shrewsbury BID on this shared vision and Big Town Plan is important to the future vitality of the town," he said.